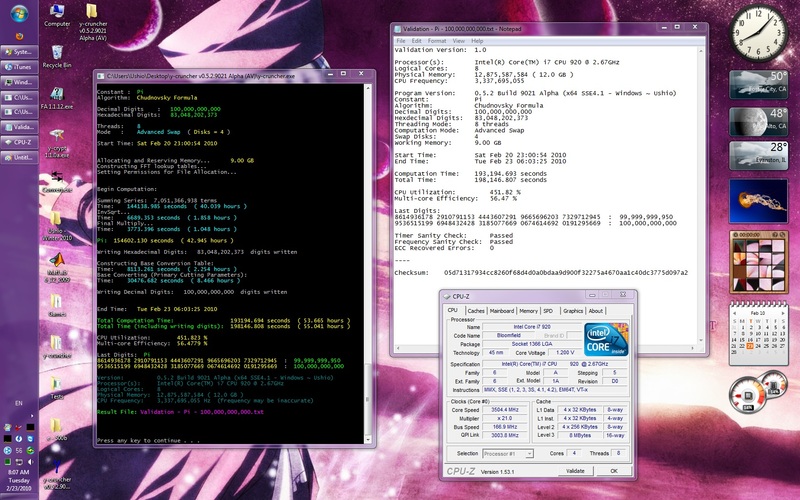 3.432 hours v0.6.9 x64 AVX2 Airi Windows Swap Shigeru Kondo 2 Intel Xeon E5-2683 v3 2.0 GHz 128 GB DDR4 20 ? 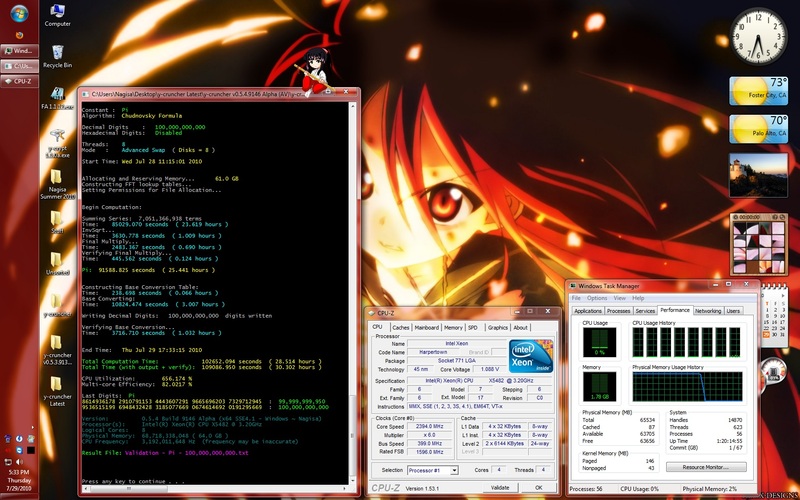 16.202 hours v0.5.5 x64 AVX Hina Windows AS 50.1 GB Andreas Ebert 1 Intel Core i7-3930K 3.20 GHz 64 GB DDR3-? ? 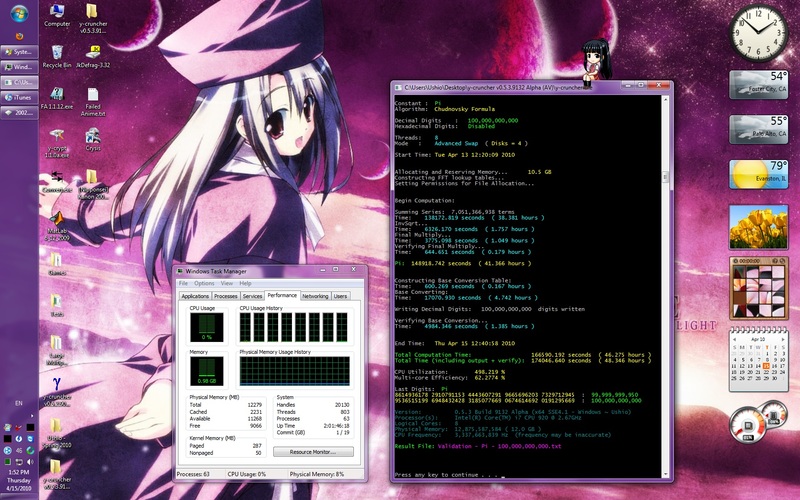 21.148 hours v0.6.9 x64 AVX Hina Linux Swap 110 GB yoyo 2 Intel Xeon E5-2620 v2 2.1 GHz 128 GB DDR3 ? 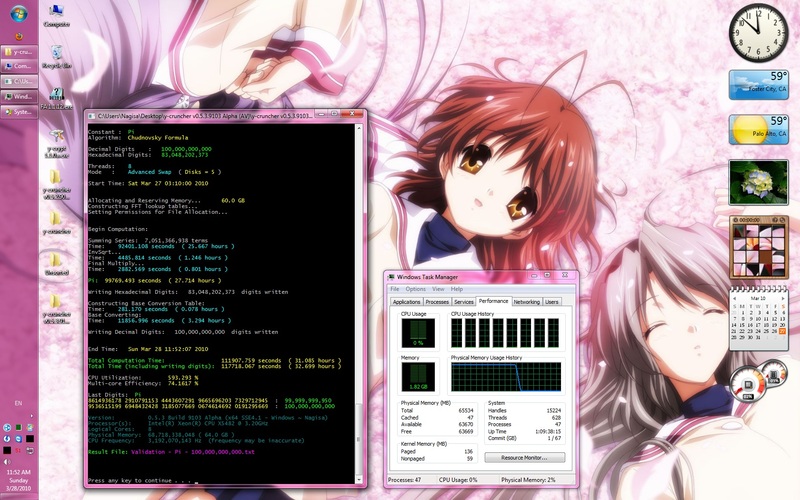 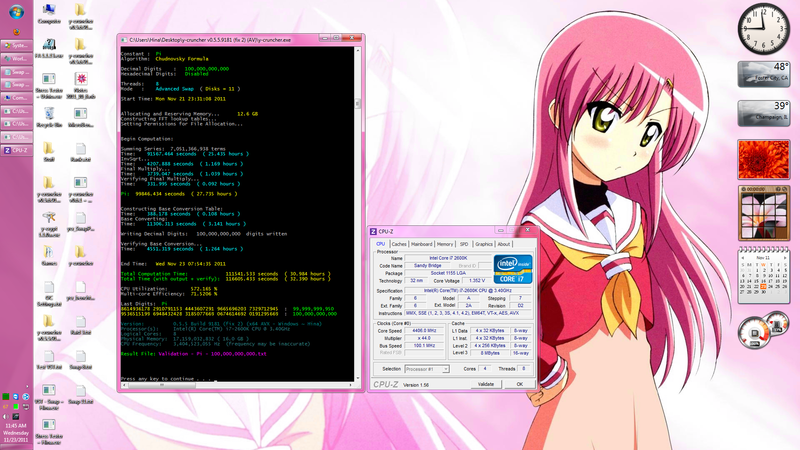 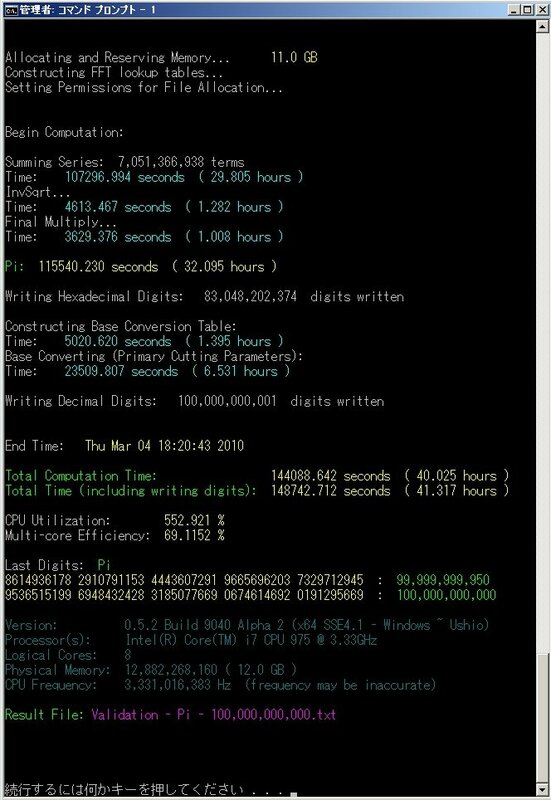 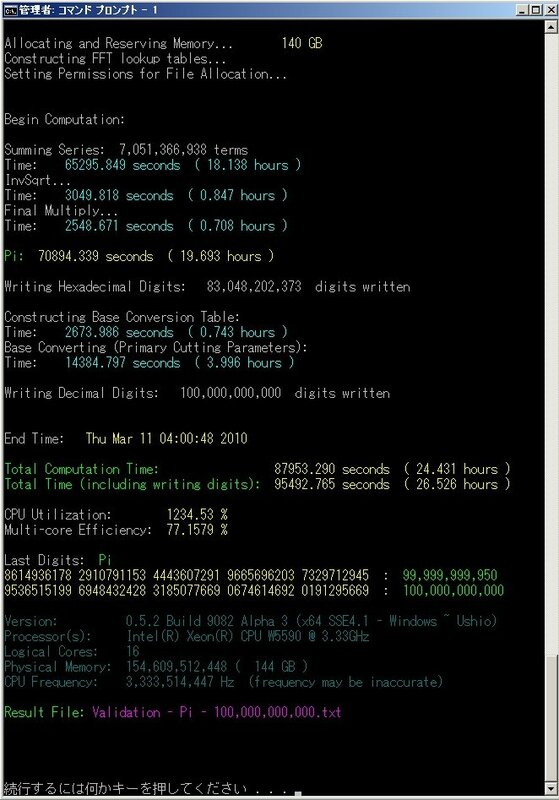 71.819 hours v0.6.9 x64 AVX Hina Linux Swap 97.4 GB yoyo 2 Intel Xeon E5-2670 2.6 GHz 128 GB DDR3 ? 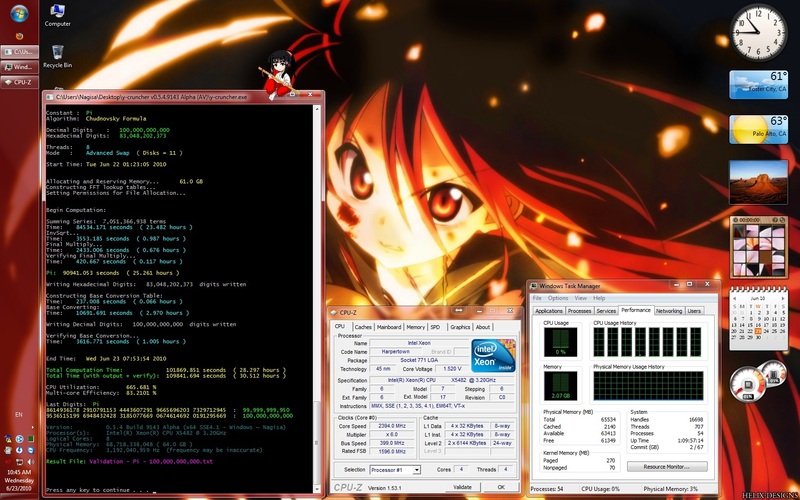 93.143 hours v0.6.9 x64 AVX2 Airi Windows Swap 13.2 GB yoyo 1 Intel Core i5 4590 3.3 GHz 16 GB DDR3 ?